A pearl necklace is such a romantic gift, the creamy surface of the pearl offsetting the skin to perfection. 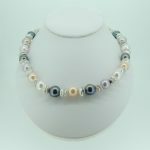 This pink pearl necklace is even more special, with the flawless pink 8-8,5mm pearls all matched beautifully and strung on silk, knotted between each pearl and finished with a beautiful silver and cubic zirconia ball clasp. The delicate beauty of this pink pearl necklace makes it ideal as a gift for special romantic occasions such as anniversaries (the thirtieth anniversary is pearl), engagements or weddings. There could be no lovelier gift than this necklace on the birth of a baby girl. Pearls are made to be worn and gain lustre from being against the skin, but when they are put away they need a little protection from the rest of the jewellery in a box or drawer. 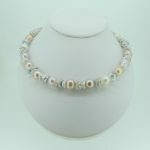 For this reason, this necklace comes complete with a protective travel bag to keep them safe when on the move. You certainly wouldn’t want to leave these pearls behind when on holiday and with the protective bag you don’t have to worry about getting them scratched. 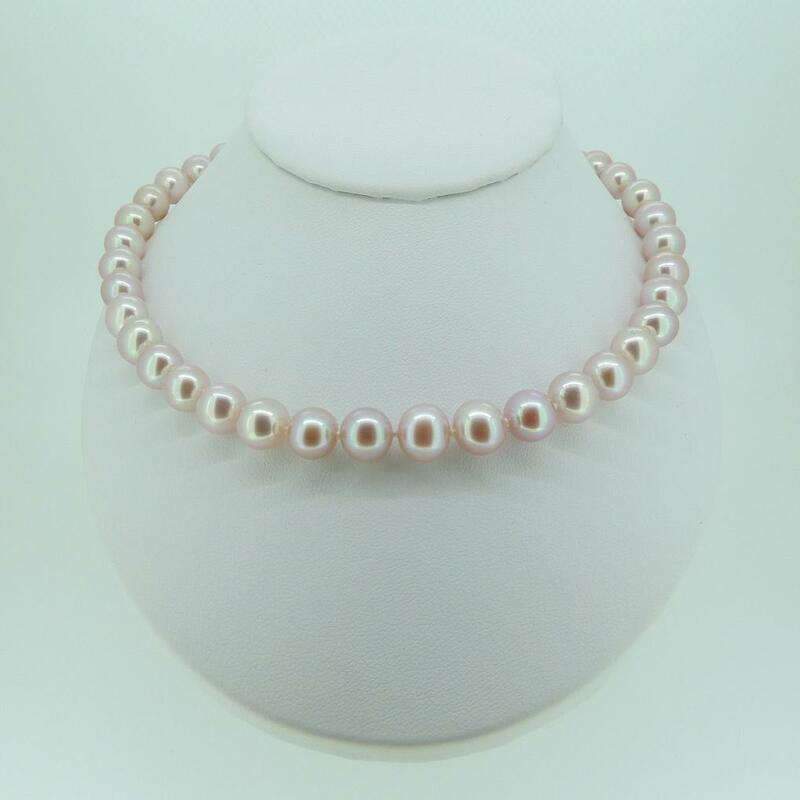 At our very reasonable prices, this pink pearl necklace is something that you can wear and enjoy at work and in the evenings; a really wearable and classic piece of jewellery that will not date.